Winter is definitely not my favorite season, but my kids love it! In fact they have been asking for snow since the leaves started falling from the trees! 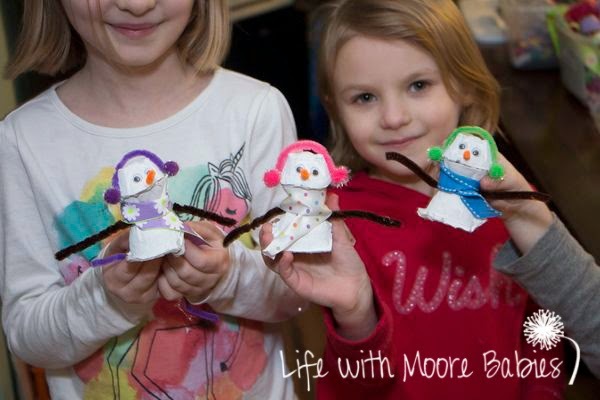 We still haven't had much in the way of snow, but we did have a good time recycling an egg carton into snowmen! 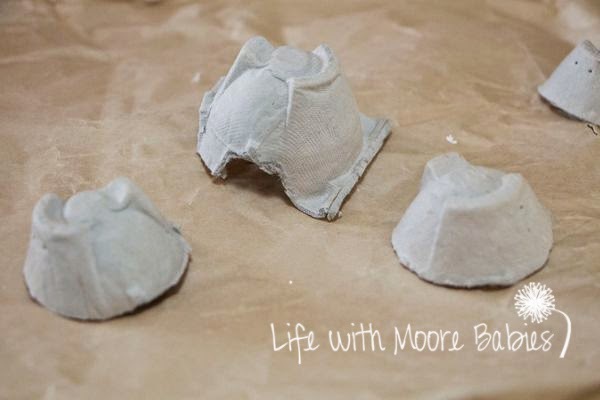 Cardboard Egg Cartons if you want to paint them; foam if not. To start with you obviously need an egg carton. 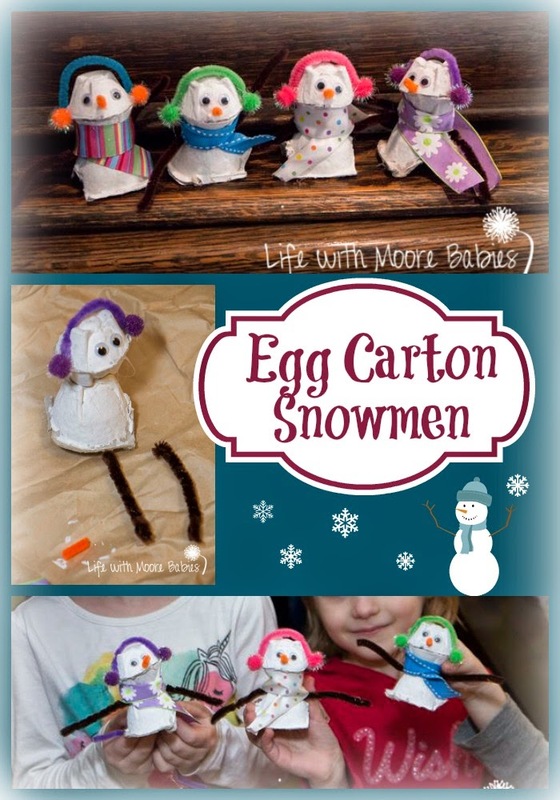 Each snowman takes 3 of the little egg cups from the egg carton. The bottom one can be left larger with a sturdy base to put the head on. For the head you need to cut two of the egg cups above any of the holes in the carton. Now these two will be glued together to form the snowman's head. Next you can paint them all white, unless you want colored snowmen in which case the sky's the limit! 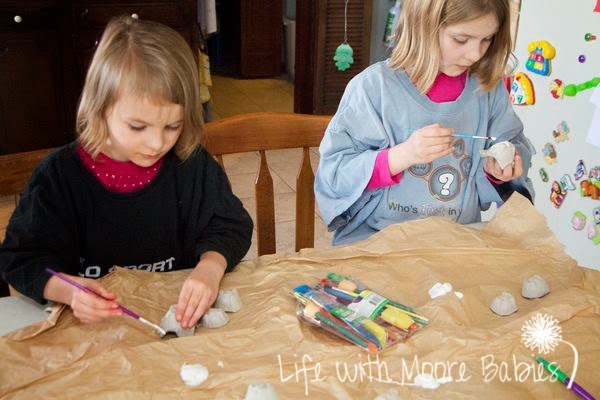 Once they are dry you can glue them all together to make the basic snowman. I used hot glue for this part just to make sure they would stay put. Then each of the kids picked out all the accessories for their snowman. 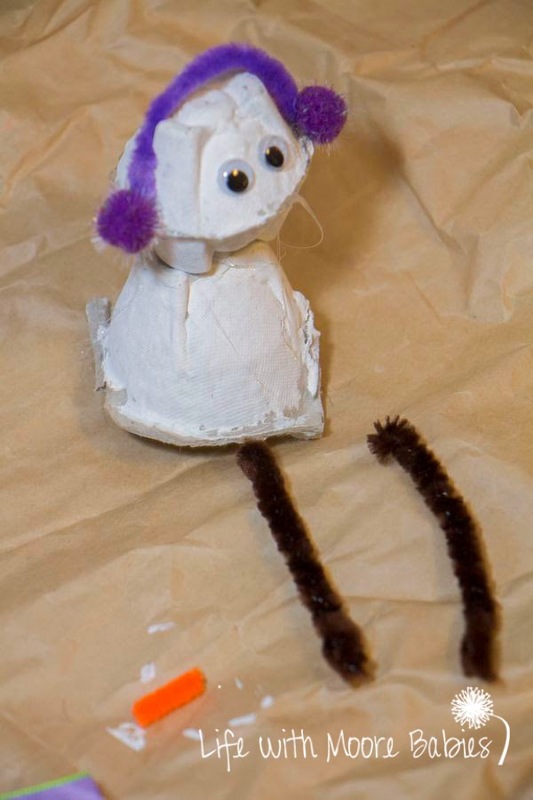 We used Pom Poms and pipe cleaners (both kindly provided by CraftProjectIdeas.com) for ear muffs, pipe cleaners for arms and nose, ribbon for scarves, and googly eyes! Again I hot glued the ear muffs, arms, and noses, but I let the kids use school glue on the eyes and scarves. The we just had to wait for all the glue to dry. They were all quite pleased with the results too. 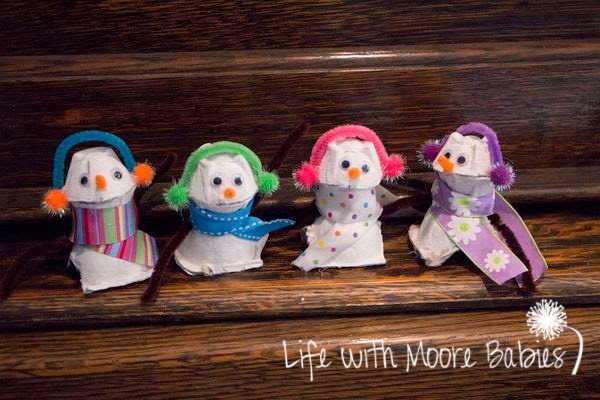 Cute little snowmen recycled from an egg carton; even I had to make one. After all, this is the type of snow I can handle!